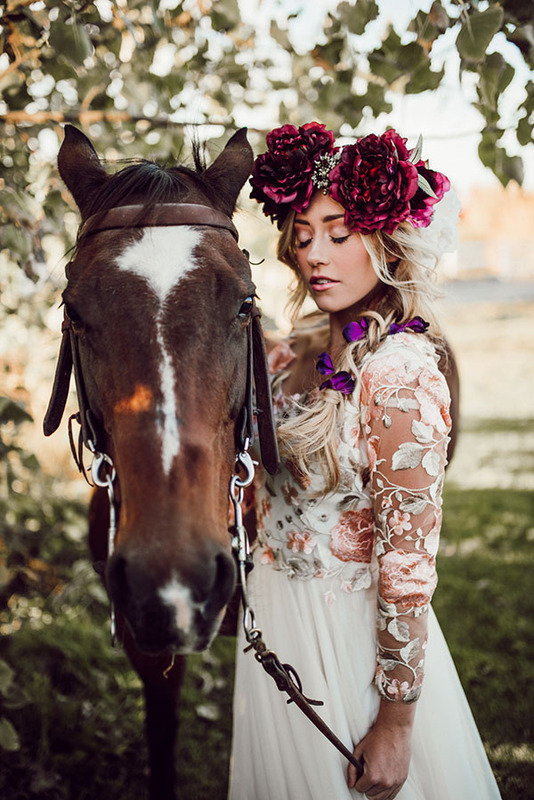 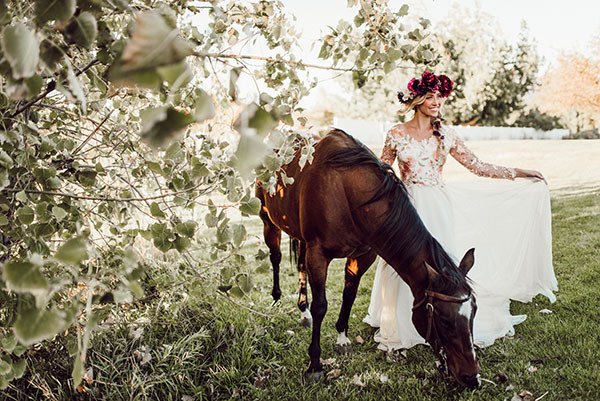 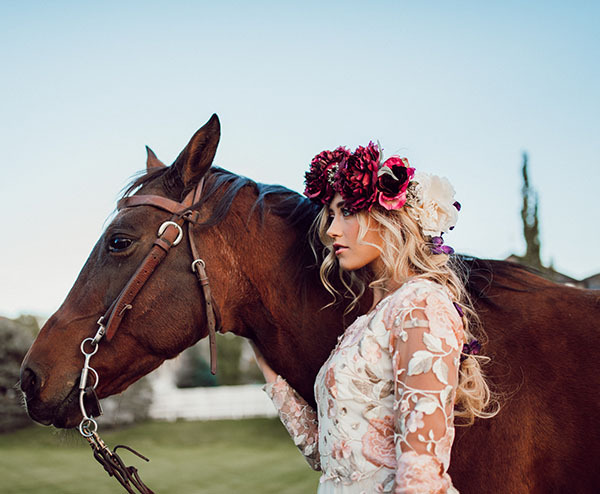 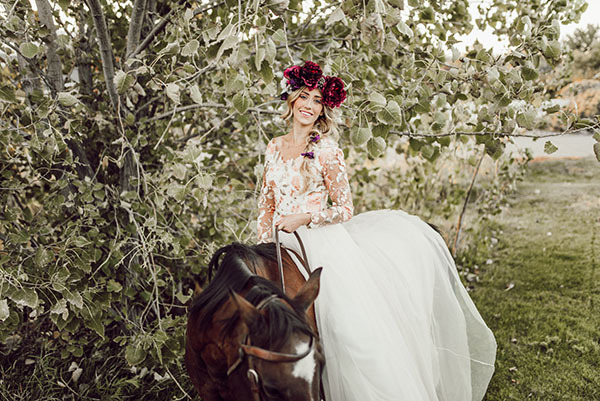 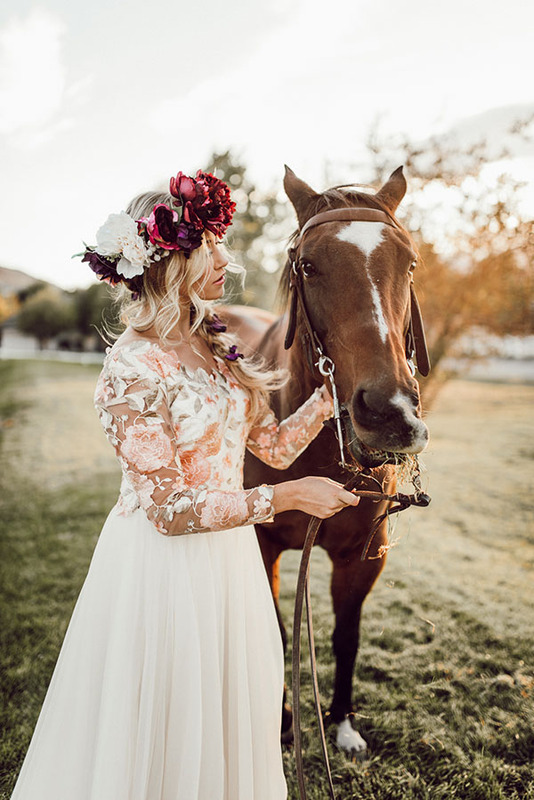 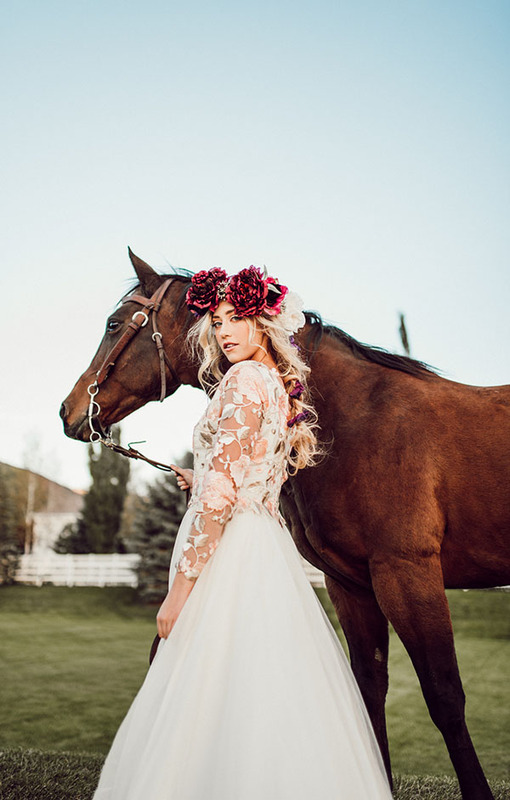 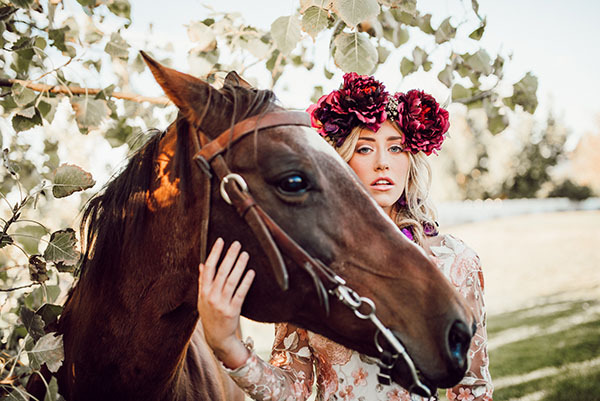 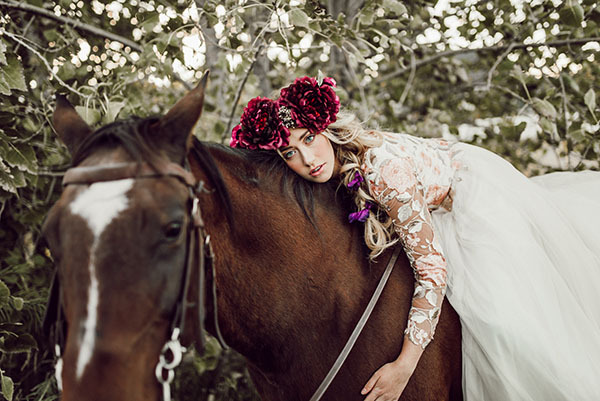 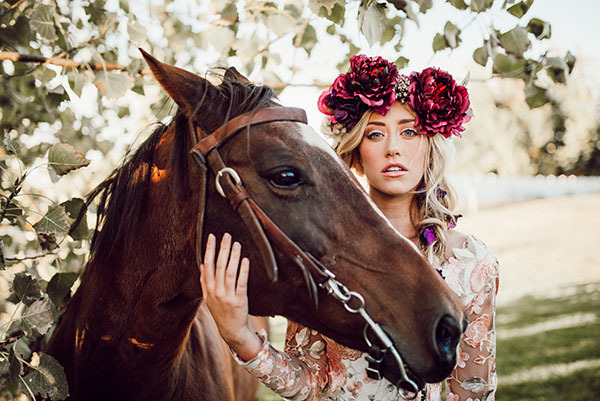 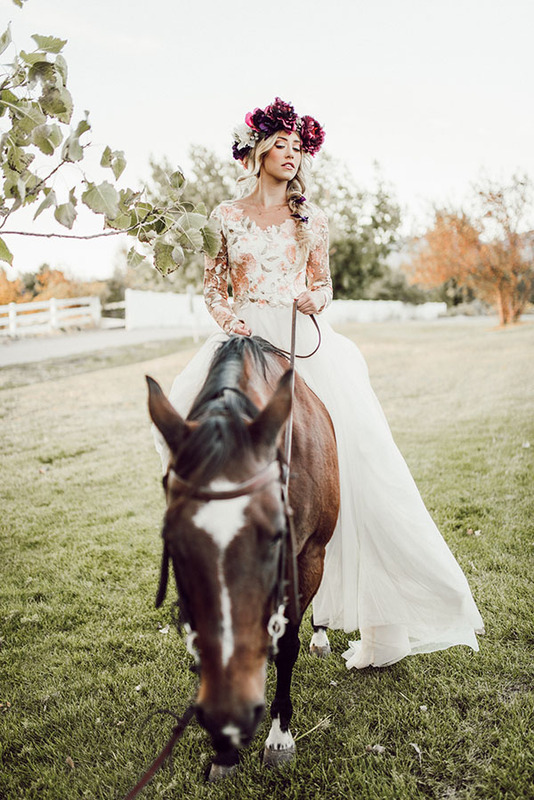 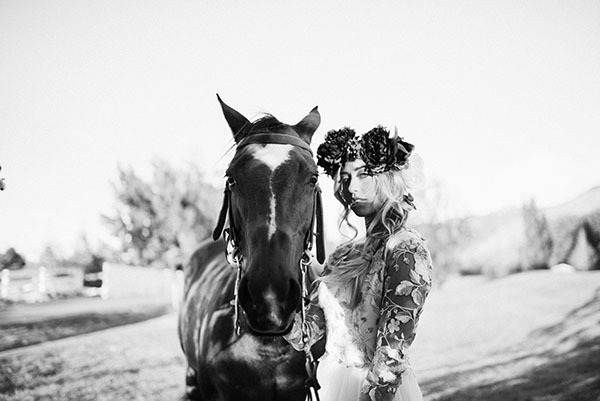 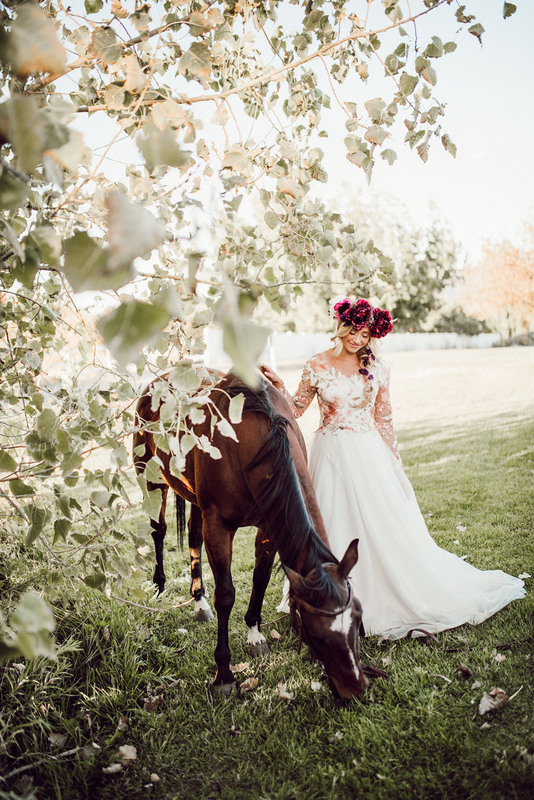 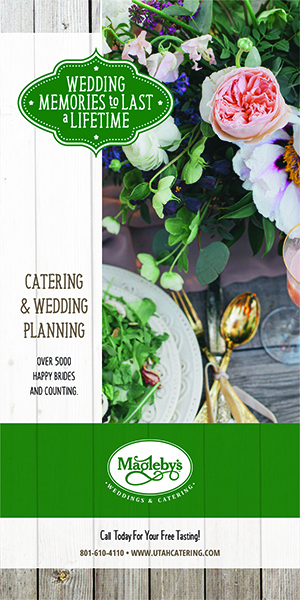 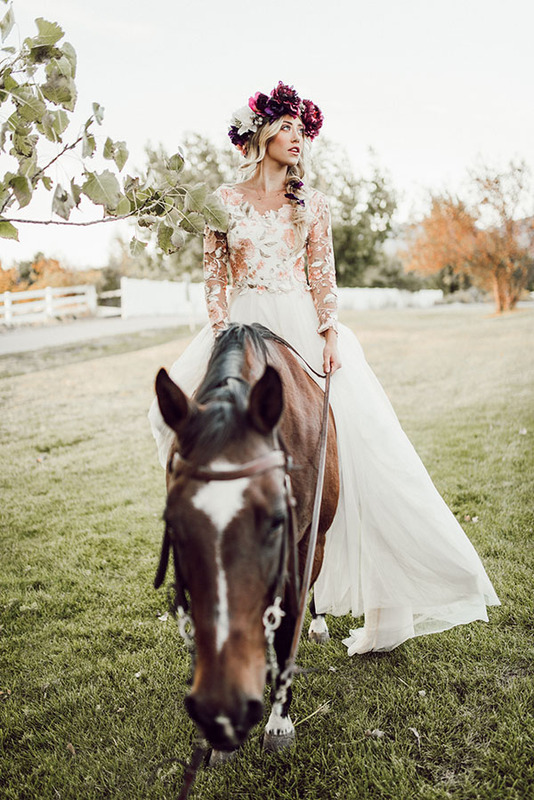 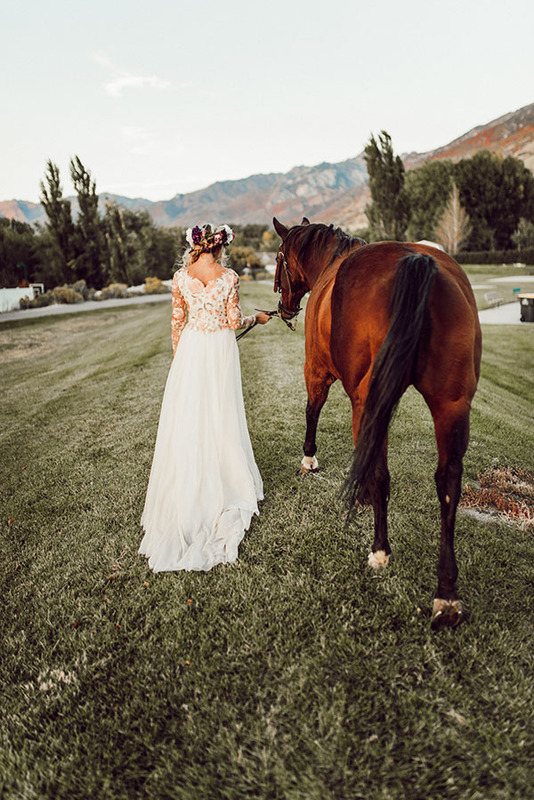 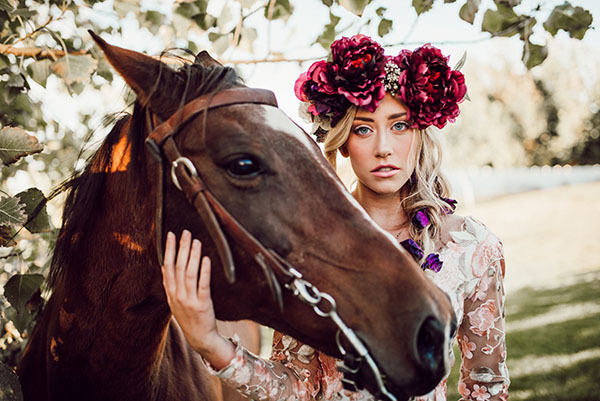 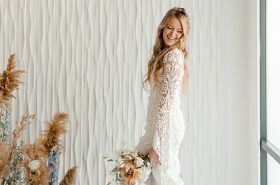 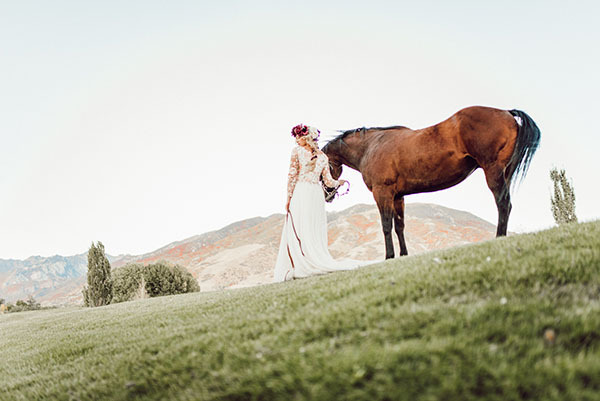 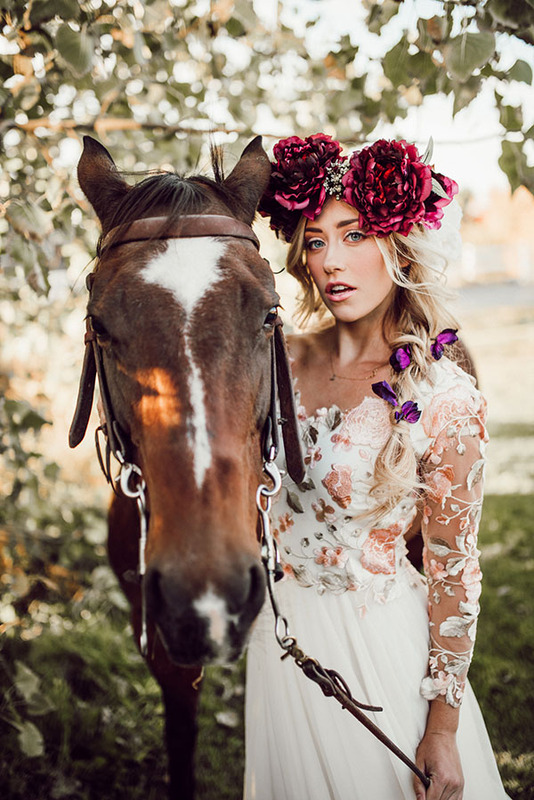 Brides and horses should always hang out together, don’t you think? 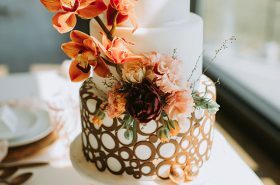 Because we totally think. 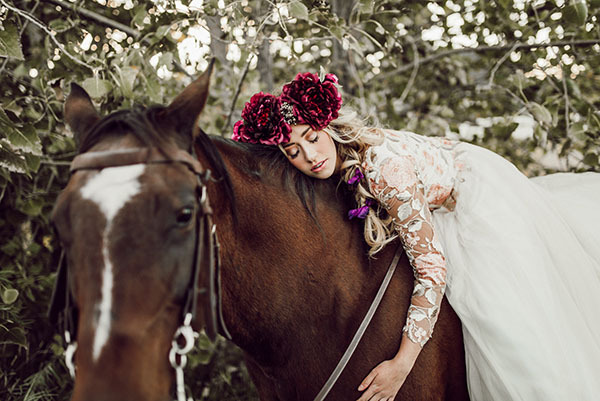 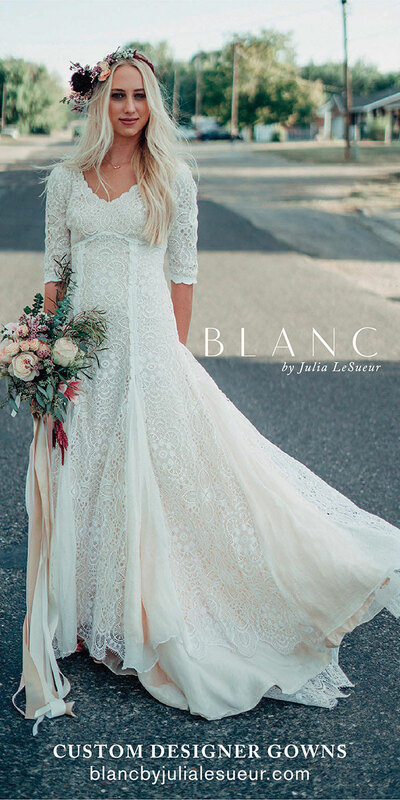 We are entirely smitten with this fairytale inspiration. 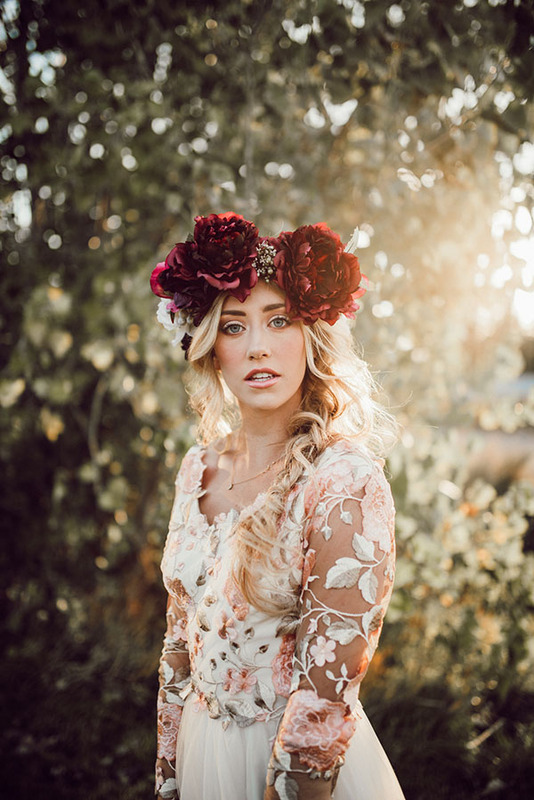 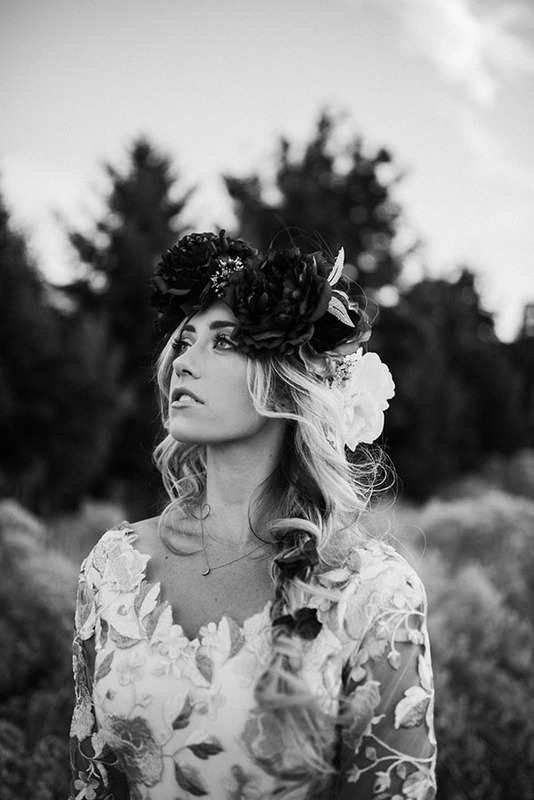 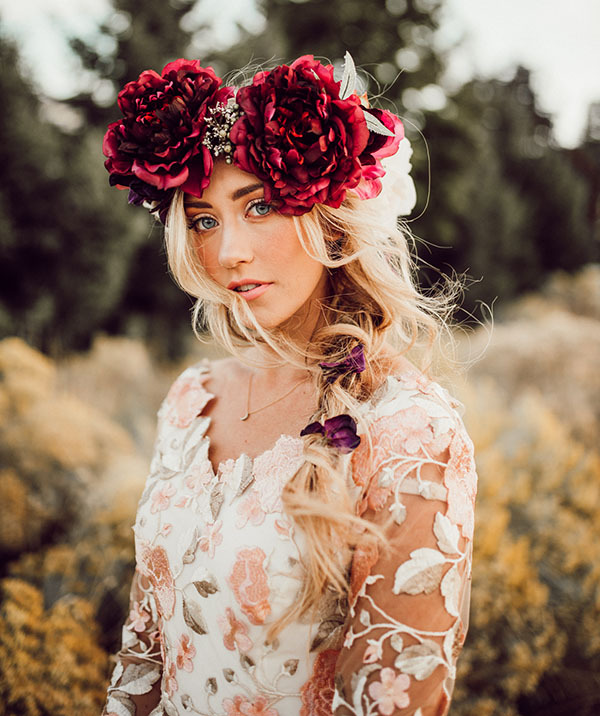 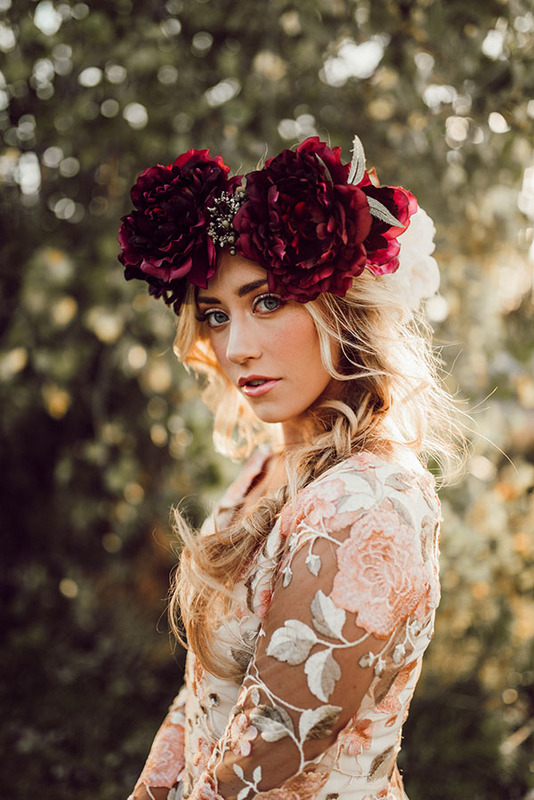 Her oversized floral crown by Gracefully Bloomed is a statement stunner. 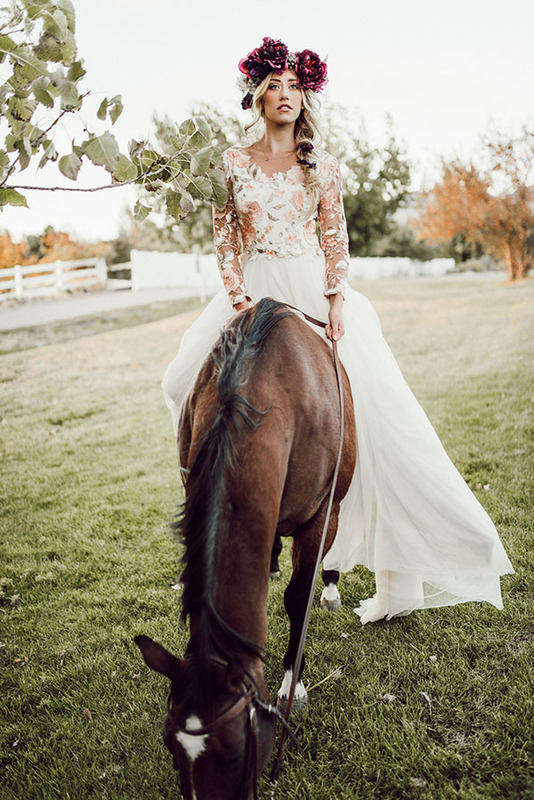 We’re dazzled by the bodice on this incredible Janay Marie gown. 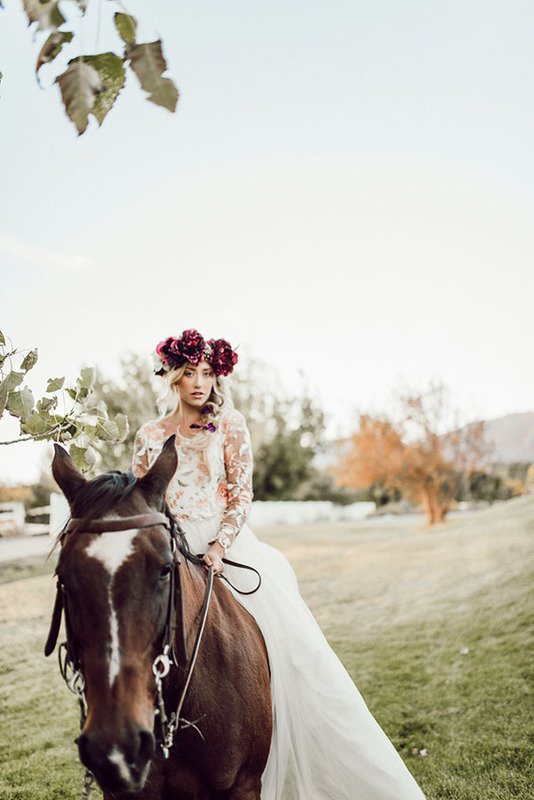 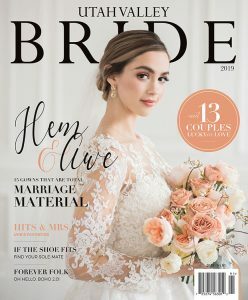 The makeup by Merrie Hess is radiant and romantic. 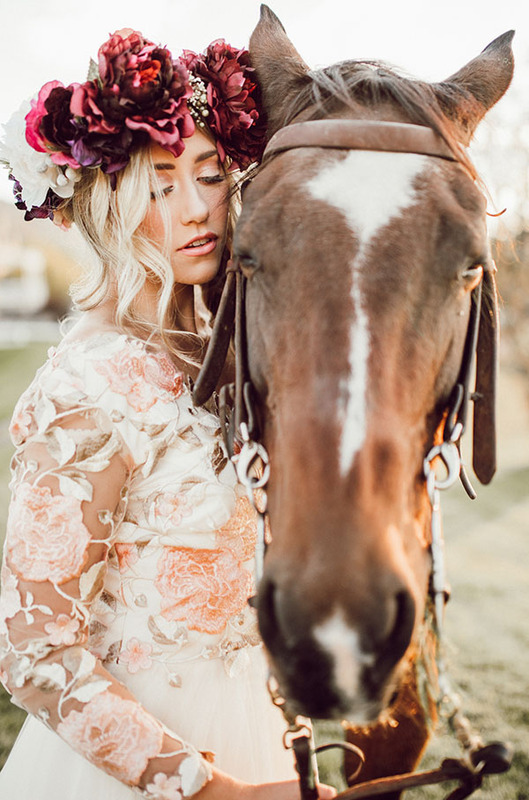 The photography by Megan McDonald is wildly warm and engaging. 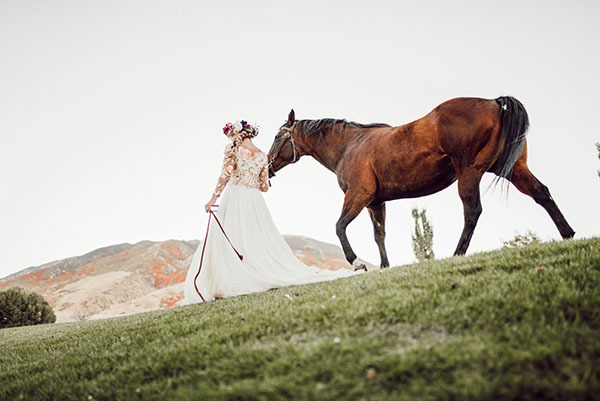 And the horse! Oh, the horse. 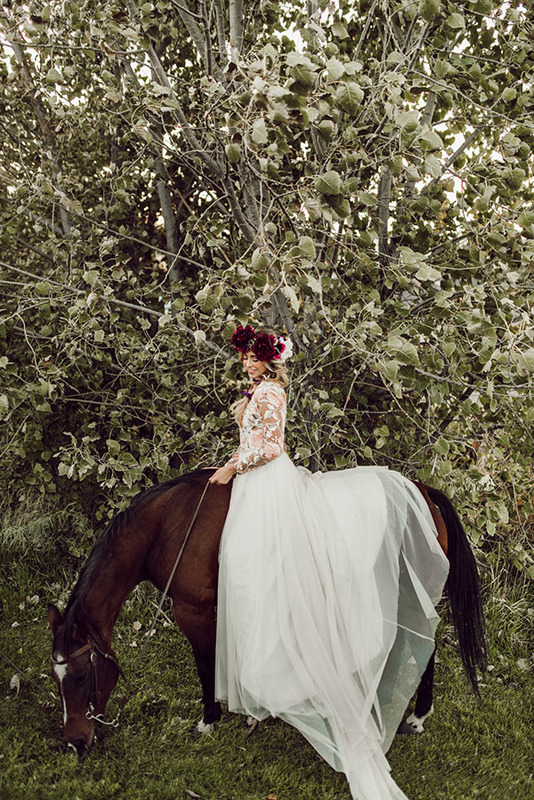 Forever the horse.